After Rearview Mirror... Farhan Akhtar has presented a musical mix with Seagull with lyrics advocating love and relationship beautifully. Farhan posted the link of the video and wrote, "Hey... Thrilled to share the music video for #Seagull .. Link in bio. Watch. Share. Like #Echoes #newvideo#musiclove"
Earlier in September 2018, Farhan had released his first English single Rear View Mirror and Jaane Ye Kyun Kiya his first Hindi single and 'Why Couldn't it be Me?' on December 20 which garnered immense appreciation from the audience from all corners. Last year, Farhan sang his first Telugu song, 'I Don't Know' for Mahesh Babu's political-thriller, Bharat Ane Nenu. The fast-paced catchy number introduced Mahesh Babu's character. Farhan had made his debut with Rock On!! as not only actor but also singer. 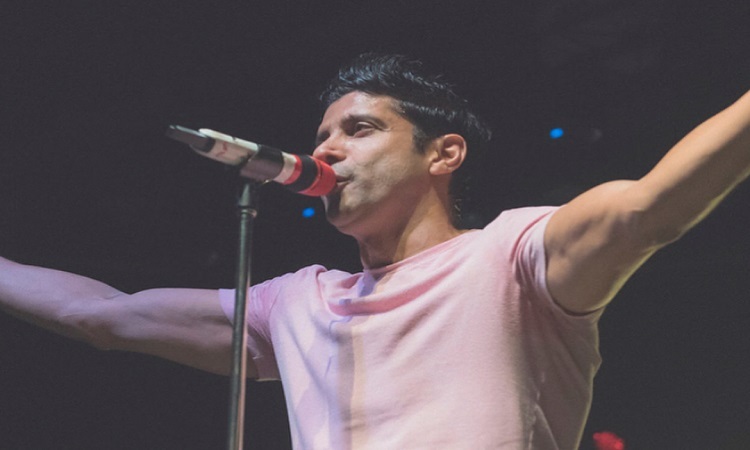 Farhan has been doing many concerts not just in India but at the UK and US as well where he has received immense love from his fans. The actor will be next seen in 'The Sky Is Pink' co-starring Priyanka Chopra and starting the shoot of the recently announced film Toofan, in which he is essaying the role of a boxer and already started the prep for the role. He will also be presenting Ranveer Singh-Alia Bhatt starrer 'Gully Boy' next year.